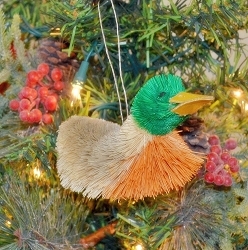 Realistic Life-Like Duck Decoy Ornaments! 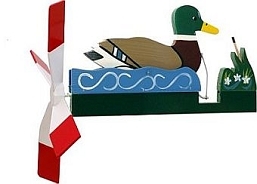 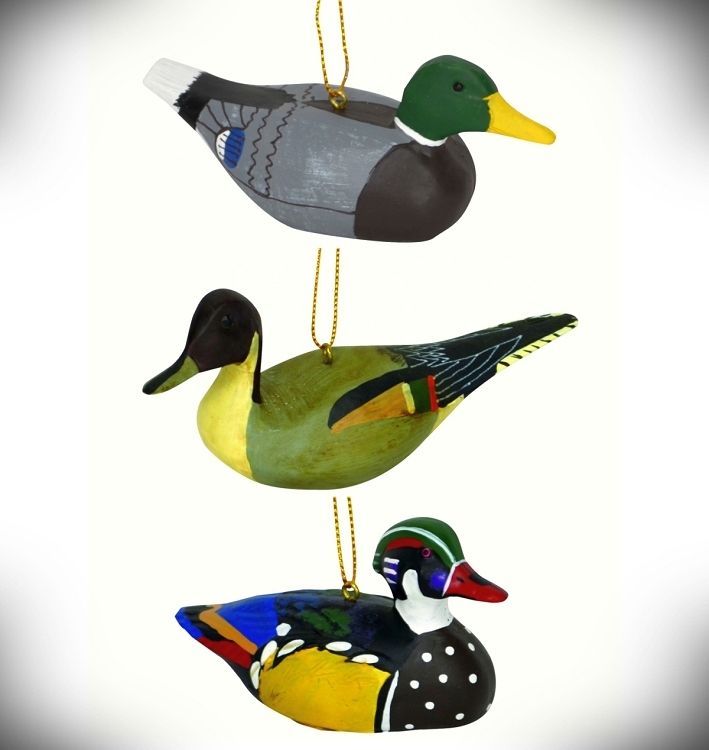 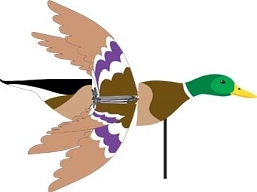 Collection of 3 Duck Decoy Ornaments includes Mallard, Pintail, and Wood Duck! 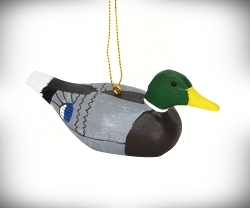 These beautiful life-like antique duck decoy ornaments are made from a rugged composite material and will last years. 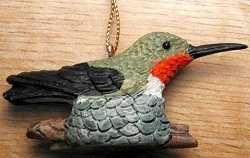 Each piece is carefully cast from the original carving by Randy & Elaine Fisher, and is painted under the artists’ supervision. 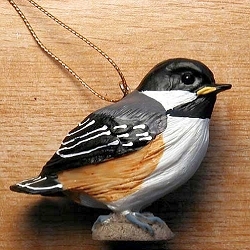 The Fisher's, from Cape Cod, Massachusetts, are award-winning carvers and have devoted the past twenty-seven years to carving realistic birds. 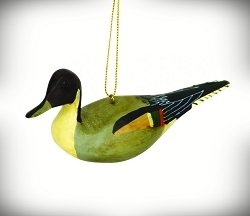 Randy and Elaine Fisher are naturalists from Cape Cod, Massachusetts, who bring skill and discipline to their craft. 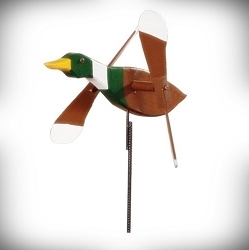 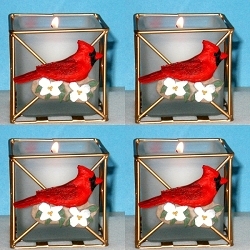 They are avid bird watchers and devote as much time as possible to the study and photography of their subjects. 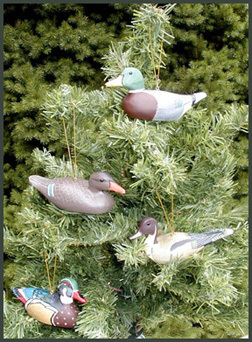 They have banded birds for US Fish & Wildlife at Manomet & Massachusetts Audubon and so have held almost every bird they carve, alive, in hand. 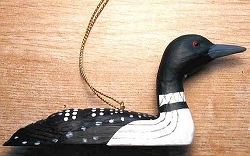 Fisher birds have been exhibited at the Ward Foundation Wildfowl Carving & Art Exhibition in Salisbury, Maryland, The Academy of Natural Sciences Wildfowl Art Expo in Philadelphia, PA., Audubon Birdcarving shows in Massachusetts, Connecticut and Rhode Island and the Bird Carver's Exhibit at the Museum of Natural History on Cape Cod as well as art festivals from Maine to Miami. 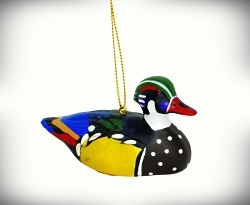 Each piece is a one-of-a-kind signed original. 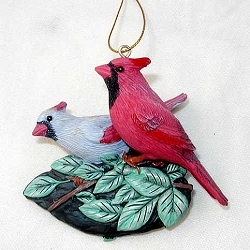 They have won awards for their carvings at the World Championship of bird carving in MD. 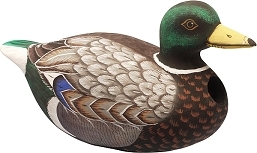 (professional class), the Connecticut Wildfowl Competition, as well as most major Art shows in New England and Florida including Mystic, Winter Park, Los Olas and Coconut Grove Art Festivals. 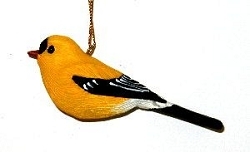 Carving full time professionally since 1978, their work is in private collections all over the world. 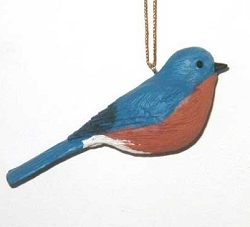 Note: Due to the handcrafted and hand-painted nature of these ornaments they may look slightly different than the image, and no two ornaments are exactly alike.